NIA CHARLESTOWN NEVIS (DECEMBER 14, 2015) — Four sanitation workers were honoured by the Nevis Air and Sea Ports Authority (NASPA) in recognition of their valuable contribution to the upkeep of central Charlestown. 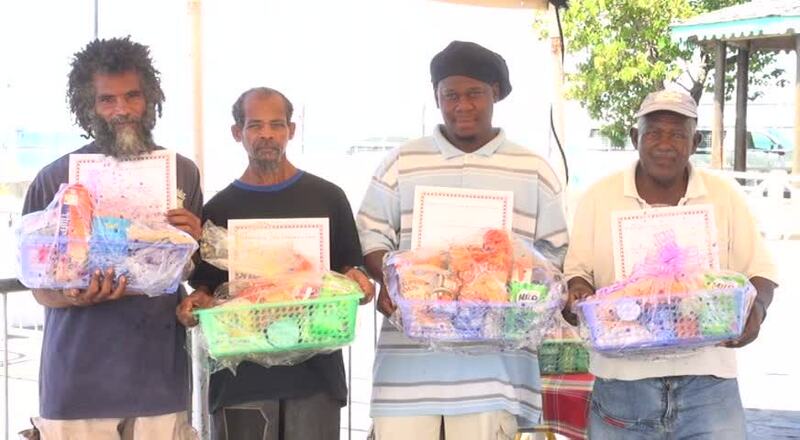 The four men, George Herbert, Donald Browne, Franklyn Browne and Raoul Archibald were each presented with a certificate of appreciation, a monetary gift and a gift basket of groceries at a brief but significant ceremony at the Charlestown Waterfront on December 14, 2015. In response, both Donald Browne and Archibald thanked NASPA for their recognition. 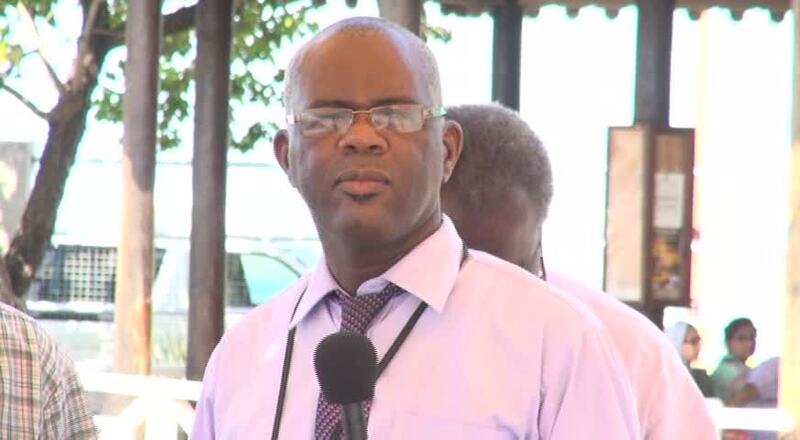 Moments before the presentation, General Manager of NASPA Oral Brandy said the presentation was a result of the authority’s implementation of an initiative in the latter part of 2015 to keep Charlestown clean, in collaboration with the Public Health Department. “We believe that the [Public] Health Department has done an excellent job in cleaning Charlestown. “We also thought that the gentlemen who clean the drains and do other cleaning in the area have done a wonderful job and we thought that it’s good to motivate them, to encourage them and to let them know that we are extremely pleased and satisfied with what they do,” he said. Brandy added that the authority believes that the workers take pride in what they do and are dedicated to their job of keeping Charlestown clean. He said the authority had also received unsolicited confirmation from other members of the public about the work the men do. The certificates and monetary packages were presented by Human Resource Officer at NASPA Loretta France. Environmental Health Officer Kevin Maynard who was present thanked NASPA for the gesture, on behalf of the department. Also present were Environmental Health Officer Trevor Parry and Charlestown Port Manager Ken Pemberton.